The French innovation center b<>com has just been awarded at the NAB Show 2017 for its SDR-to- HDR up-conversion technology. Launched during the 2009 NAB Show, the Technology Innovation Award recognizes organizations that bring advanced technology exhibits and demonstrations of significant merit to NAB Show, the first worldwide gathering and trade show for the broadcasting industry. “We are honored to receive the Technology Innovation Award for our first application! With this award, we join Fraunhofer, NICT, ETRI, and Ericsson among the winners’ club, all of them international key innovation players in our field. Being recognized by our peers, after less than 5 years of existence, means a lot for us. I’m so glad and thankful for our teams who deserve it!” says Bertrand Guilbaud, b<>com’s CEO who accepted the award in Las Vegas. “This award ends a terrific week at NAB Show, with lots of interest in our technologies and experiments: we feel very grateful to the NAB organization for welcoming us in Futures Park and giving our technologies such a high-level international exposure,” adds Bertrand Guilbaud. For the first time, b<>com has presented several implementations of a compact, high-performance technology to convert SDR (Standard Dynamic Range) content into HDR (High Dynamic Range) format in real time. Its main benefit: preserving the artistic intent of SDR sources. 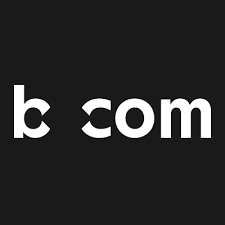 “b<>com is a private research institute that develops and provides technology. Implementing our SDR-to-HDR up-conversion technology brings high value to both content providers and end users. It is cost-effective and easy to deploy, from glass to glass. To be successful with HDR, the industry needs such enablers.” concludes Bertrand Guilbaud. b<>com also presented a SaaS version for SDR-HDR conversion. This framework leverages video and audio processing in the cloud, using Linux container technology to ensure reliability, robustness and scalability.